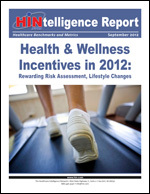 © 2012 Healthcare Data Digest by Healthcare Intelligence Network. Documents the experiences of Aetna and Bon Secours in the recruitment, workload management and IT support of practice-based case managers. Order your instant PDF download or print copy today. "We find that pharmacists can engage in screening and brief intervention for medication adherence and other health-related issues just like every other healthcare staff or discipline has done." Watch the webinar today or order a training DVD or CD-ROM.